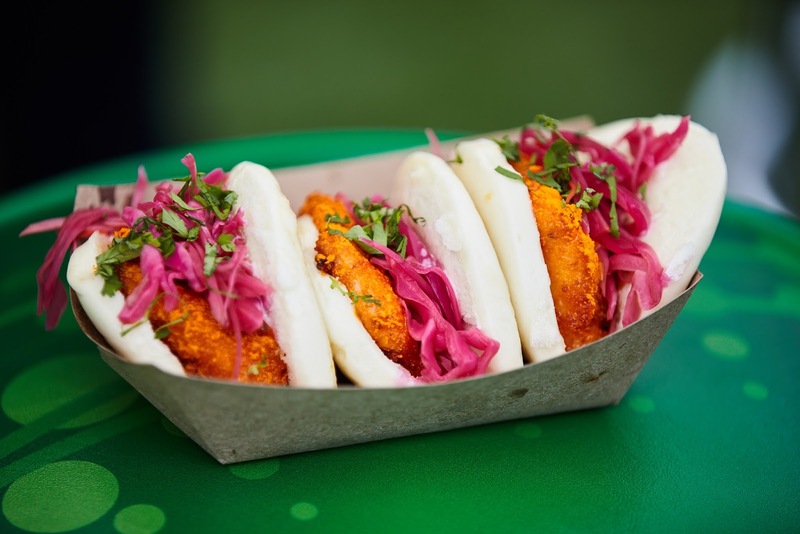 Your Guide To The Trendy Eats At The LA Smorgasburg - EAT WITH HOP! Smorgasburg Los Angeles is definitely a foodie haven located in downtown LA. And what's even better than the unique and creative food that each vendor offers, is the free parking (rare sight in LA). The event happens every Sunday, from 11am to 4pm at The Row DTLA. Check out their website for more details and check out the complete list of food vendors here. I enjoy going here to taste all the different vendors and it's home to some unique and extremely Instagram-worthy treats! 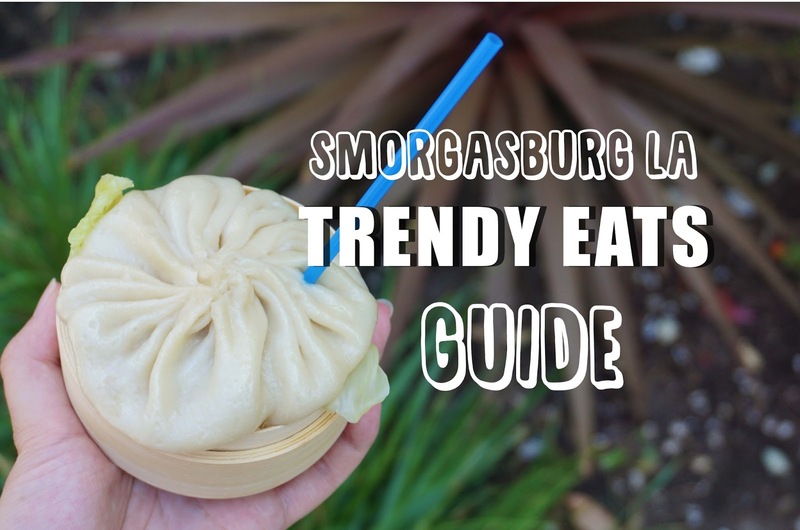 Here is a list of the totally creative and trendy eats at the LA Smorgasburg! Forget about a bouquet of roses. Those don't last anyway. Get yo` girl a bouquet of EDIBLE GELATO ROSES! There's nothing better. Because Black is the new Black. Very trendy but also very refreshing. But most of all IG-worthy. You can even buy the rich bone broth to take home too. Because anything covered in Hot Cheetos is next level. Made from all-natural chicken, brined for 24 hours and then breaded with Crunchy Cheetos. Served w/ lemon garlic aioli, pickled chili slaw & cilantro! Seriously some of the best fried chicken ever. Possess the power of levitation with these noodles. No need to go to Disneyland for Dole Whip. Oh, and parking is free here too. Matcha-centric with unique fusions. They've even got one with Aloe + Matcha. 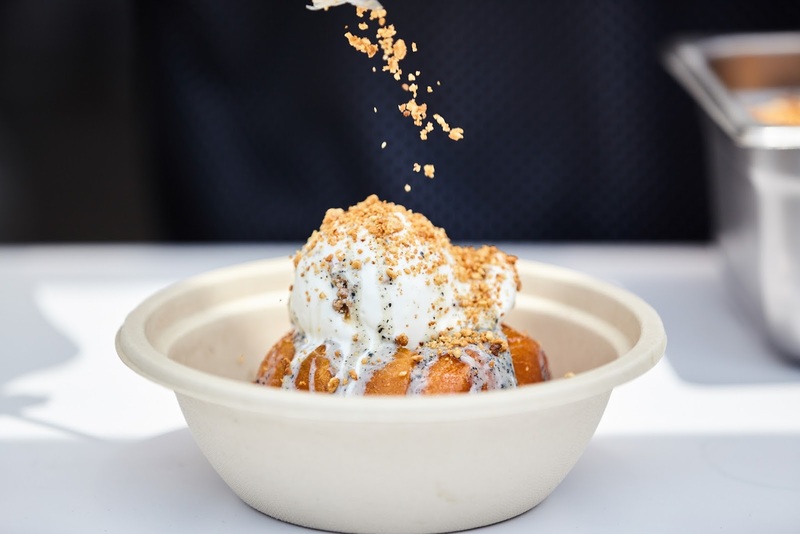 Because somehow, ice cream goes so well with anything fried, especially a fried bao. It featurs SCOOPS’ Bianco Bread ice cream in a Coffin, topped with choice of Black Sesame or Pandan glaze, crushed peanuts & Taiwanese red sugar. Warning: long lines happen here. Get `em early to avoid the rush. It's okay to be shellfish here and just eat all the lobster to yourself. They also serve vegan ice cream donut sandwiches. All colors are made naturally. Nothing fake here. Maybe Wash All The Food Down With Some Chang Beer? They'll be taking over the beer garden at Smorgasburg LA on August 20! Did I miss anything that should be on this list?